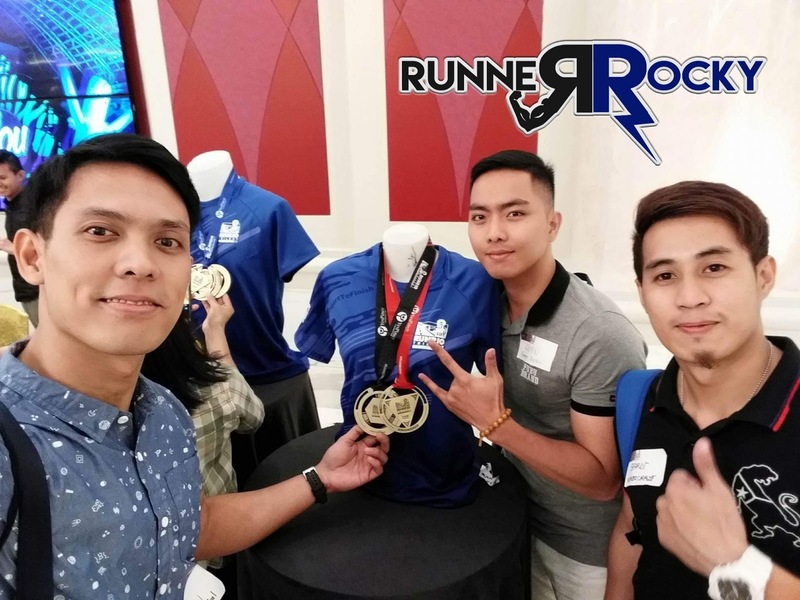 For the second time around, Team Runner Rocky took part covering the premier running event trilogy in the country, the Runrio Trilogy Race Series. 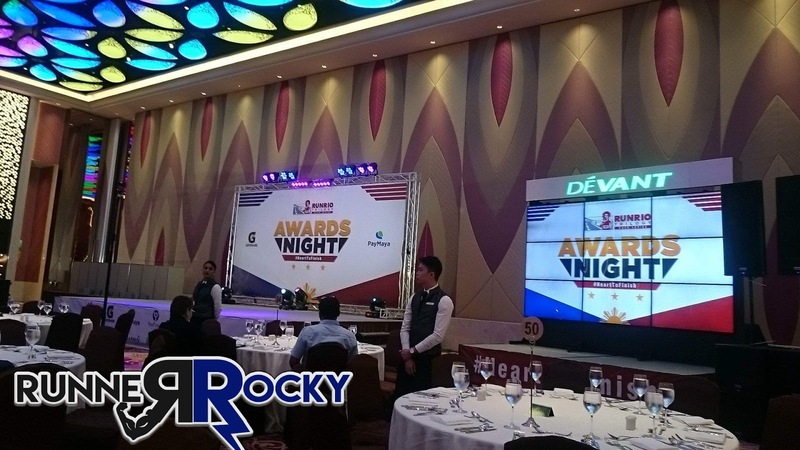 The event once more took place in Okada, Manila on the night of February 7, 2018. 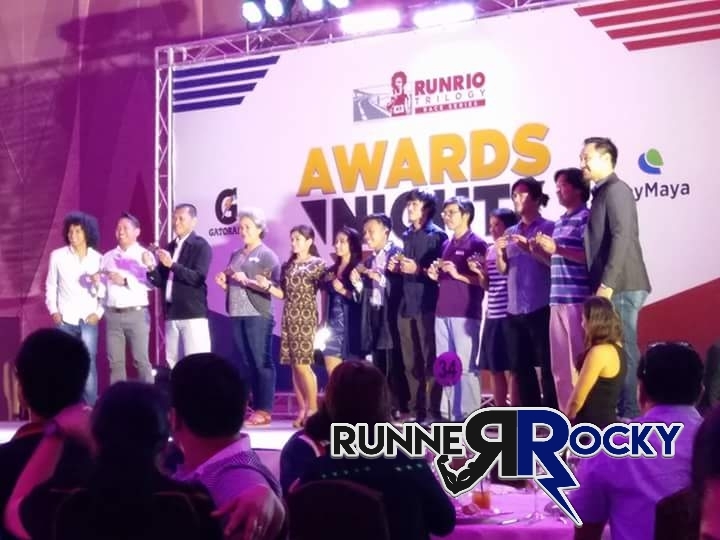 The event was not only the announcement of the Runrio Trilogy 2018, it was also an awarding ceremony honoring the runner awardees of the runners who successfully completed the 21K-32K-42K categories of the 2017 Runrio Trilogy Race Series. The awards did not only recognized the participants but also honored the fastest and the oldest finishers. All awardees received a limited edition medal hanger. 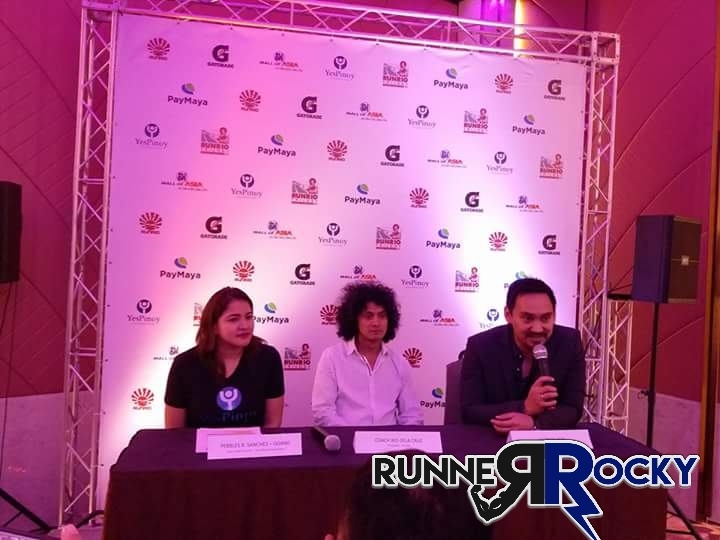 The event also announced the scheduled of races for 2018 as the RUNRIO Trilogy Race Series expands its presence in Cebu. 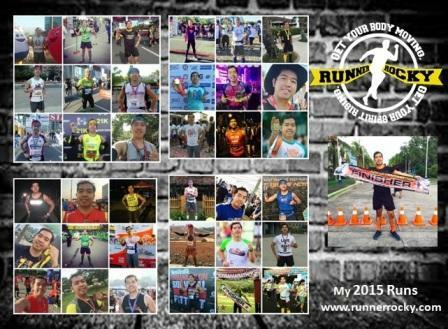 This year, the first leg of the race series will be held on March 4 in Cebu and on March 18 (a day before my birthday) in Manila. 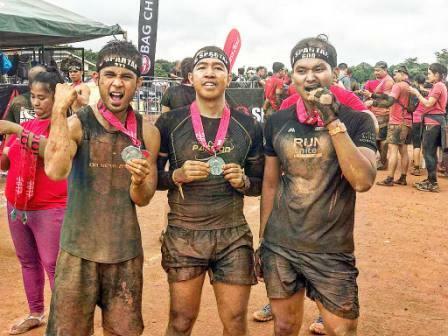 The second leg will be in Cebu this time on May 6 and again in Manila on June 3. The last leg will be on August 19 and again on September 23 in Cebu and Manila, respectively. 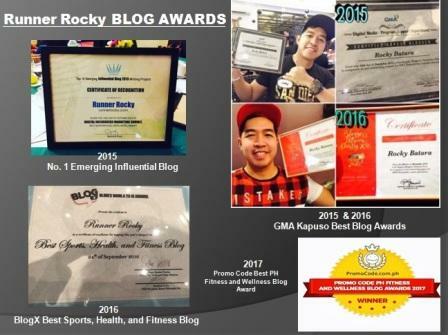 Yours truly Runner Rocky is also a proud awardee after I successfully completed the trilogy last year with distances of 21K (Half Marathon), 32K (Afroman Distance), and 42K (Philippine Marathon) respectively. 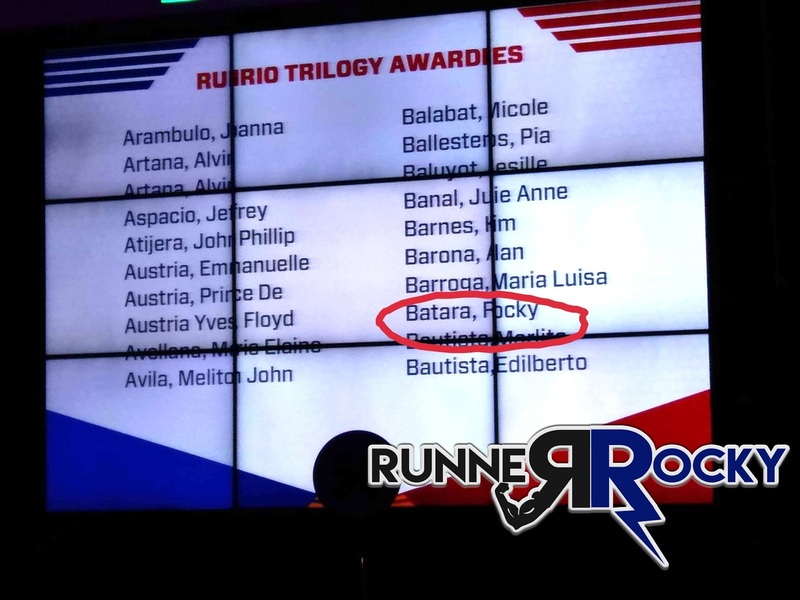 Though I was not physically present during the awards night due to conflict with other schedule, my heart is still with the Runrio Trilogy! 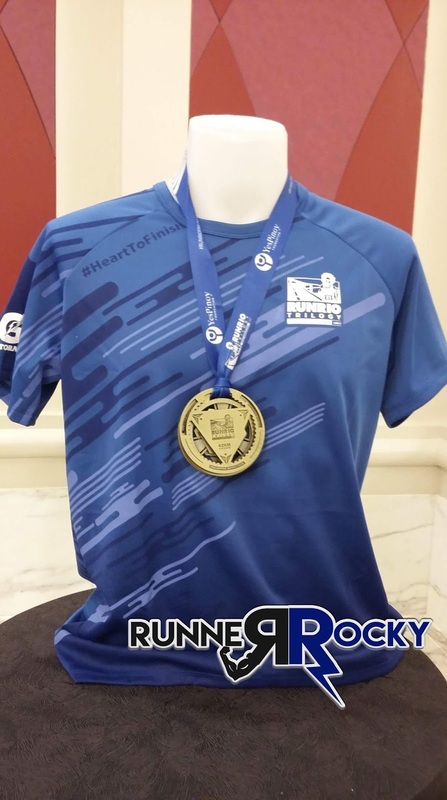 #HeartToFinish! 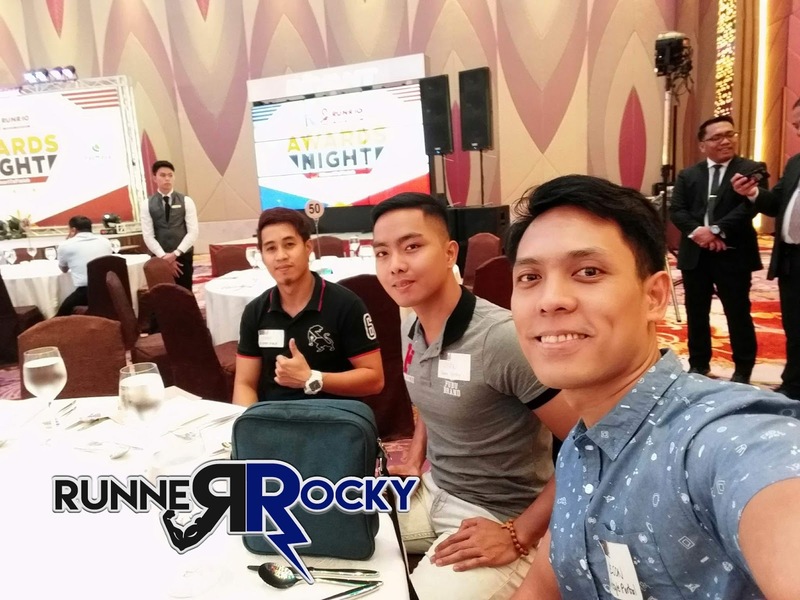 To cover the event for the team, three of the Team Runner Rocky members were present. 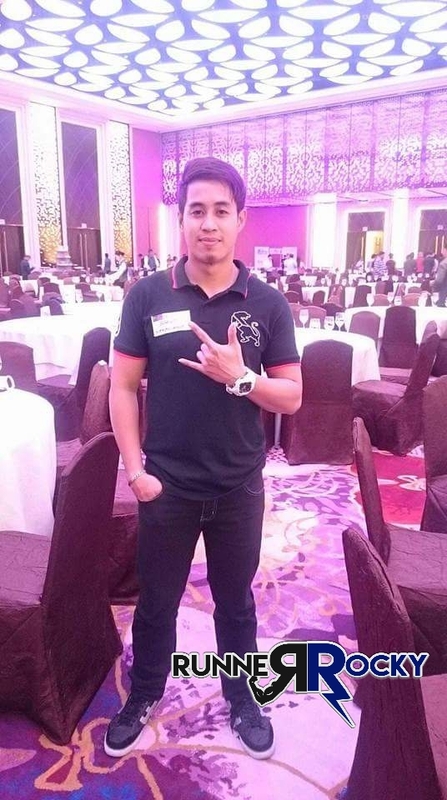 They were Nelson Cuevas, Homer Glean, and Julius Cesar Barot. 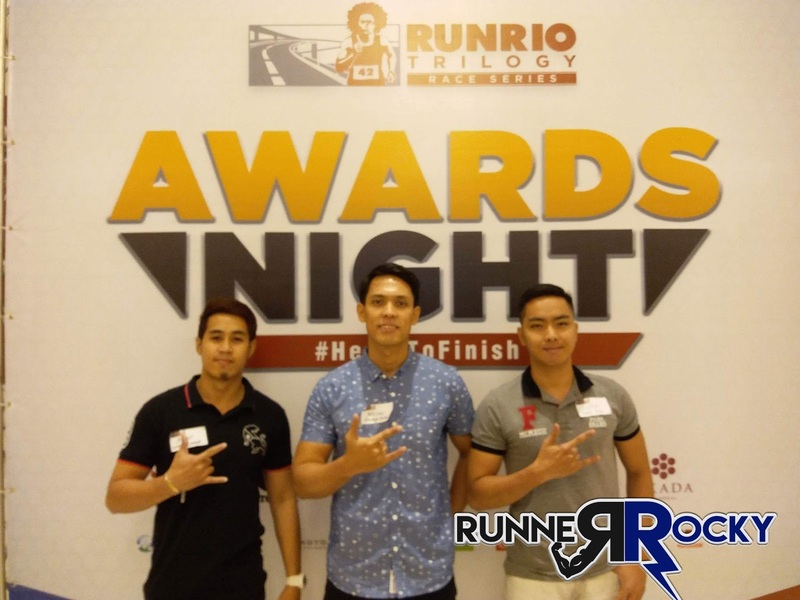 It was Nelson and Homer's second time around to cover the Runrio Trilogy Race Series. They were with me last year on its fist grand relaunch. 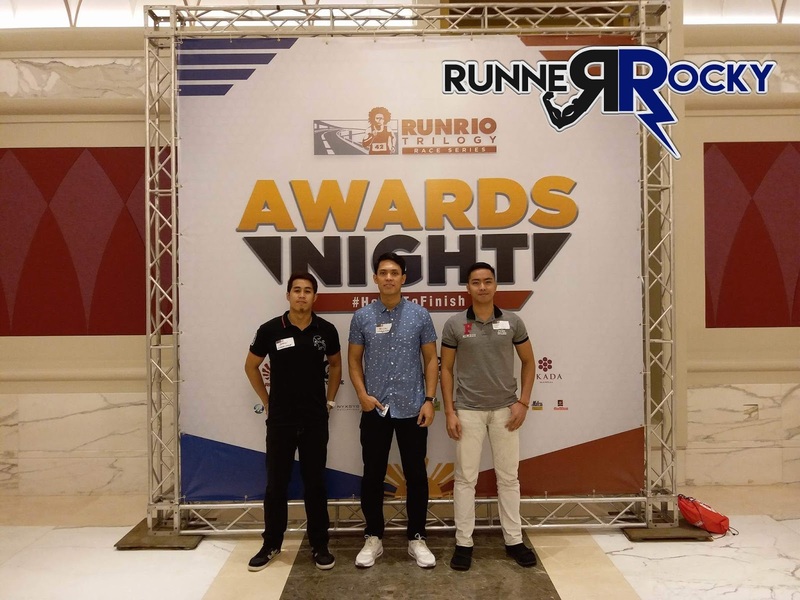 And yes, Nelson and Homer were not new in the Runrio presscons since they already covered different Runrio media launch events for various times now. 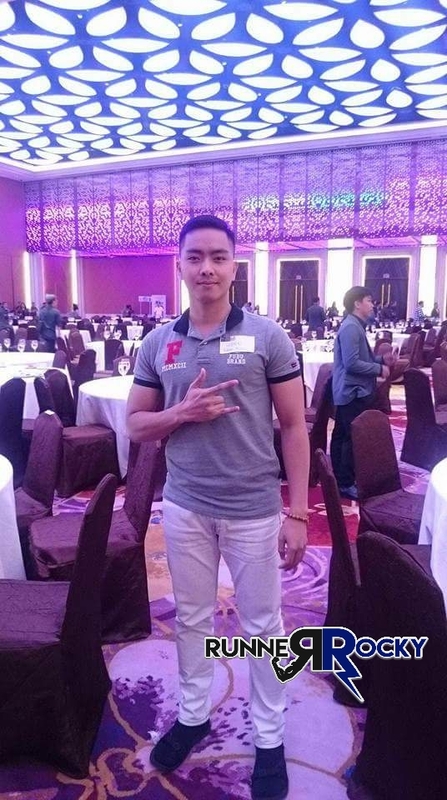 Meanwhile our new member Julius Cesar is on his very first time to cover a media launch like this. 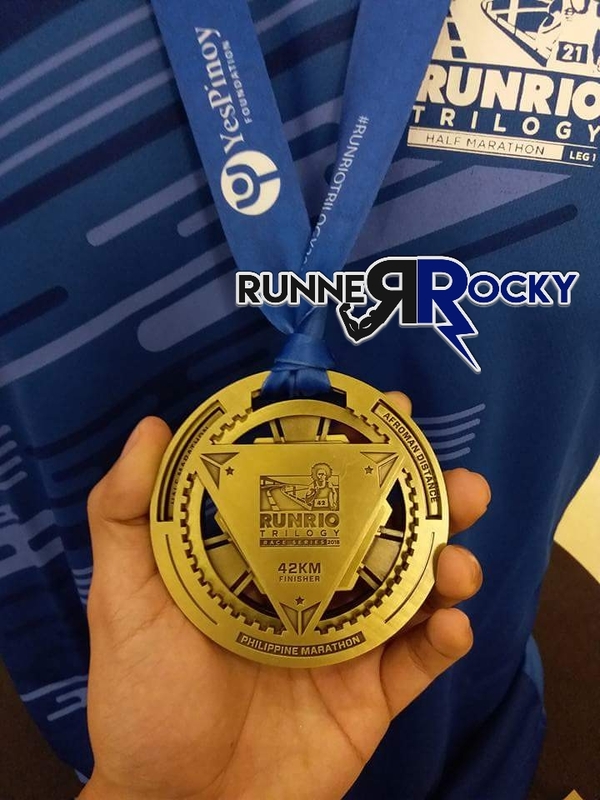 The Runrio Trilogy Race Series 2018 press launch is a very good start for him! 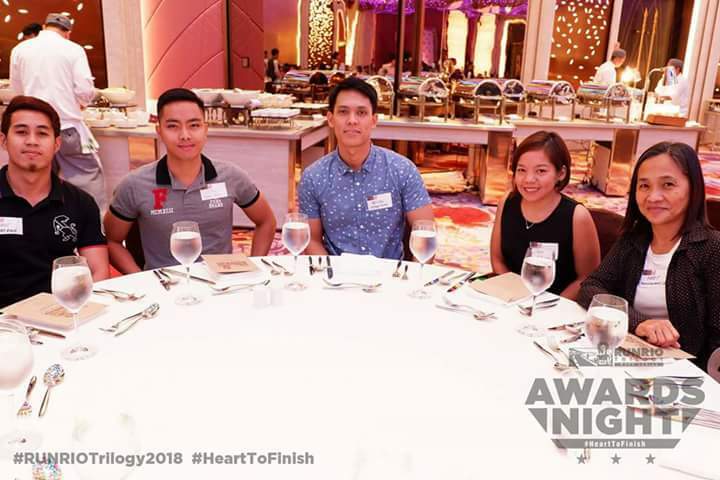 Moreover, the evening also served as an opportunity for RUNRIO to present YesPinoy Foundation with a PhP500,000.00 donation. Founded in 2009, the foundation in partnership with Taclob, produces emergency bags made by survivors of Typhoon Yolanda. The aim is to provide hooded cloak backpacks with emergency kits and learner’s materials to young people in vulnerable public schools particularly those in areas affected by Typhoons. 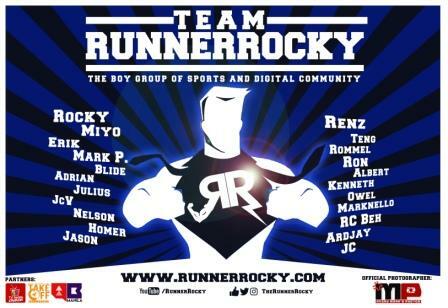 Team Runner Rocky on the Runrio Trilogy Race Series Wall. Good Job Team! Registration is currently on-going. You may register online via Runrio's website at www.Runrio.com or go directly to the selected sports stores for the on-site registration.